I’ll be honest, I originally thought this set of photos would be relativity easy to shoot. Instead, I found myself constantly fiddling around with my camera’s shutter speed and frantically searching for the right angle on a number of these shots. Even though I was shooting still objects, I found myself taking multiple shots of each subject. I continued to focus extremely hard on those right angles and correct shutter speed to properly pull in just the right amount of light into each photograph. In addition to the tedious shoot and scrap method, I decided to leave these pictures as they were. 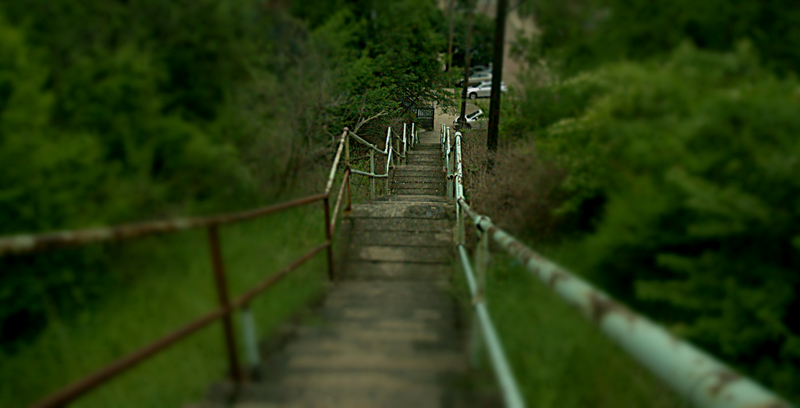 I did barely any editing to these photos opting only to crop out any unnecessary dead space. When all was said and done I was relatively pleased with these final shots (definitely a shooting style I plan on trying out more in the future). 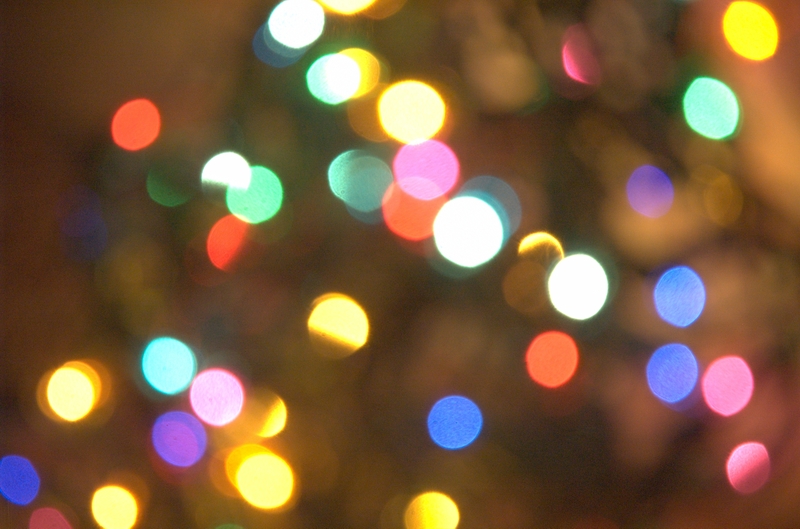 The first set of photos I decided to focus on the confusion and blur of Christmas lights. There was no significant motivation for this subject other than the amount of colors and artificial light I could capture. 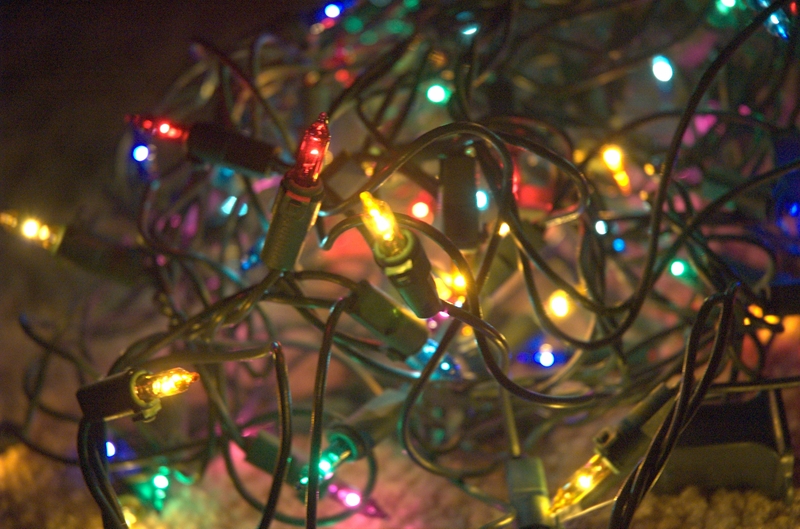 I figured the array of colors from the Christmas lights would look fairly cool and they did not disappoint. Both shots are nearly the same dimensions the only difference is a slight change in shutter speed – what a difference a half second makes! 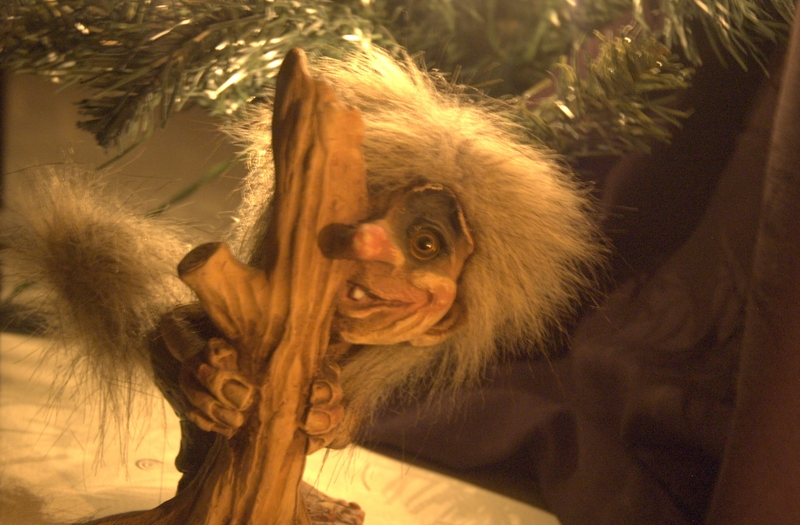 This little guy was a gift my Nana, always thought the thing was creepy looking, so naturally figured it would be neat to get a photo of it. I placed some lackluster lighting behind the Gremlin piece along with a black linen to help block out any reflection from the white counter top. I believe I had the shutter speed down a bit too low considering how much light is still in this picture. I should’ve fiddled a bit more with the backdrop to block out some of the artificial light and make the creeping Gremlin guy POP more, but after about twenty takes I figured this was the best I was going to do with this particular set-up. Easily my favorite photo of the bunch. I decided to take a page out of Lori Nix’s book here. 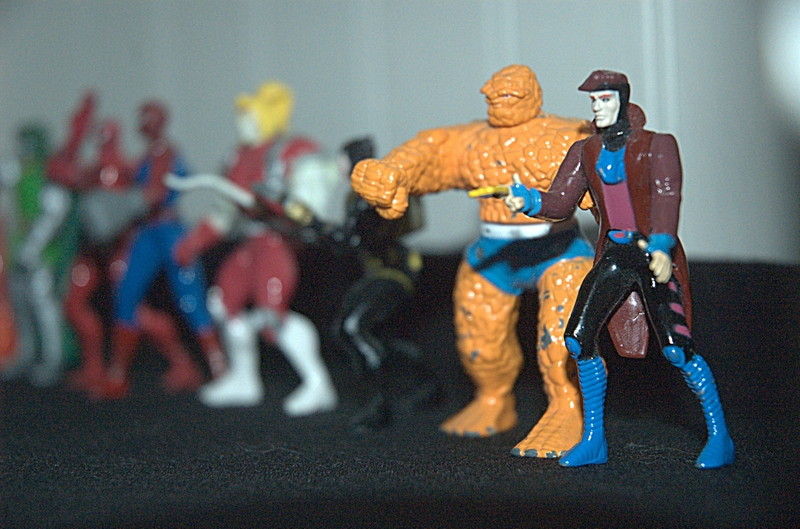 I decided to focus on the two most colorful pieces of my childhood set of die-cast collectible toys, (as you can see they have not exactly stood up to the testament of time) the Fantastic Four’s, Thing and the X-Men’s, Gambit. Since most of the figurines were red and black I decided these two had the best chance to actually stand out. Fortunately, I got my shooting aspects right and the fellow toys complimented these two perfectly in the backdrop, leaving Bruce Grimm and everyone’s favorite Cajun to grab your attention immediately. The captions are my readings before editing the photographs. Both the Church and Rachael Carson Bridge photographs histogram readings were skewed to the left, but uniquely the dead bird nest had a good amount of light with a histogram reading skewed to the right. The Church photo might be my favorite in this bunch simple because I love the old German architecture of the church along with the noticeable wear and tear on the front entrance. The dark maroon brick was able to reflect a bit more light once I tinkered with some of the natural shadows cast by nearby foliage. Plus the natural light coming in from the right side of the picture helped accent the gleam of the windows and the white cross hanging about the entrance. 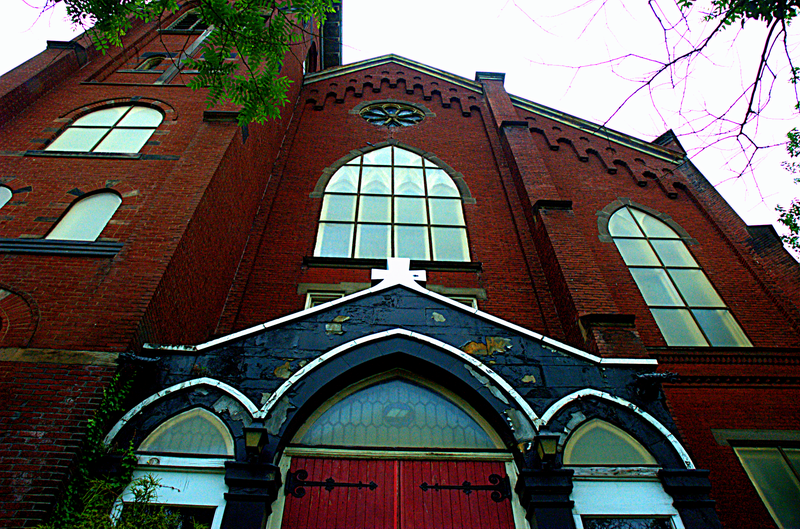 The Church is still being used for Lutheran masses, but like many buildings in Duestchtown it could use a renovation. 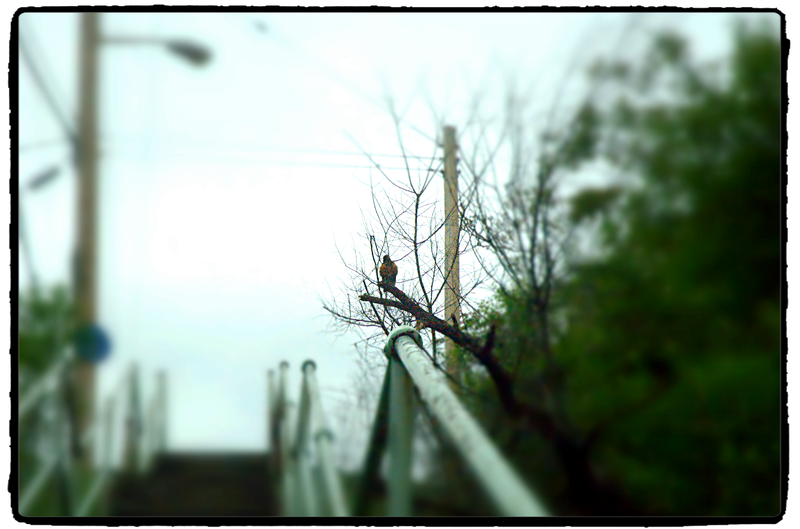 The bird’s nest was something I randomly stumbled upon while I was walking around North Side. 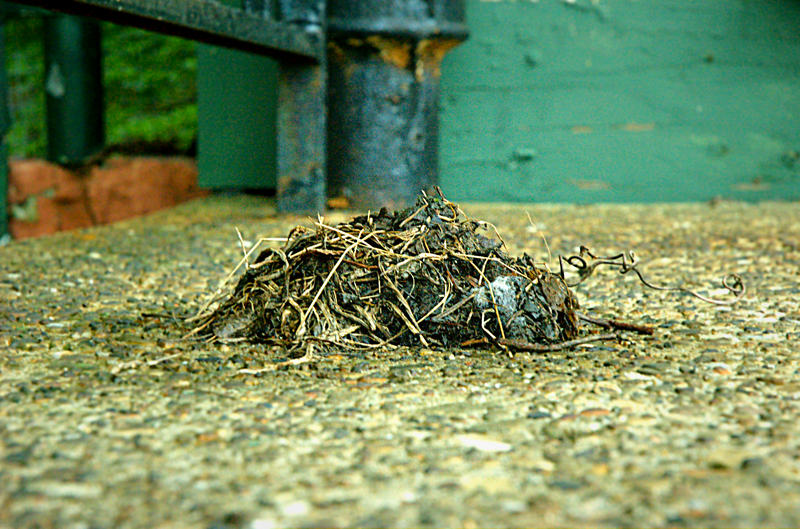 I quick caught this wet, defeated ball of rubble that use to be the home for some newborn avians (most likely Robins). The photograph worked out perfect because it was really the only photo I captured that was truly at a ‘wormseye’ view. Plus, with the amount of natural light this photo needed little editing as the debris inside the nest is clearly visible to the naked eye. 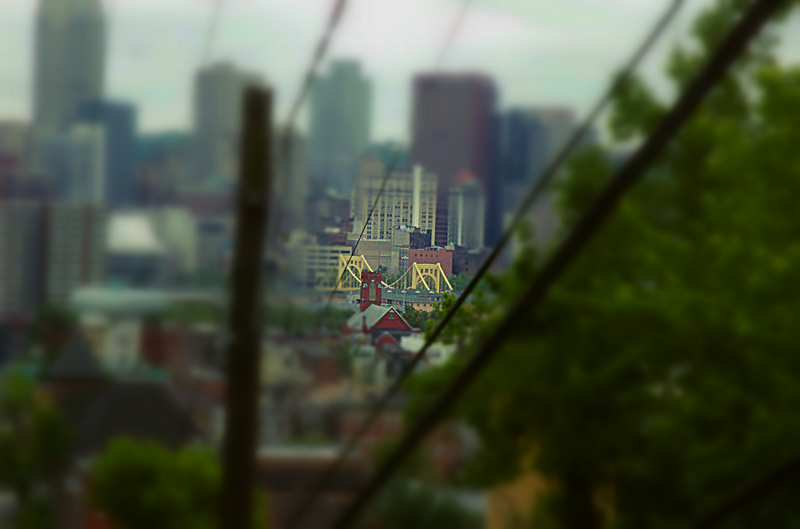 Lastly, I couldn’t help, but take a skyline photo. With the overcast the skyline didn’t sparkle like it normally does, but the Rachael Carson bridge with its booming yellow stood out. Naturally, after editing I wanted to focus directly on the bridge and the noticeable presence it has even from miles away. Lastly, the two photographs below I wanted to share simply because I had a tough time not adding these two to my final three. I thought they were unique because I was able to capture a Robin sitting alone near the top of the stairwell and then thought it would be interesting to take a photograph with the same specs (focal length 29, aperture – f25, shutter speed 1/7) from the opposite angle. Just messing around with some editing features with a few of my favorite comic series. The original Deadpool 4-comic mini-series which debuted in 1994. 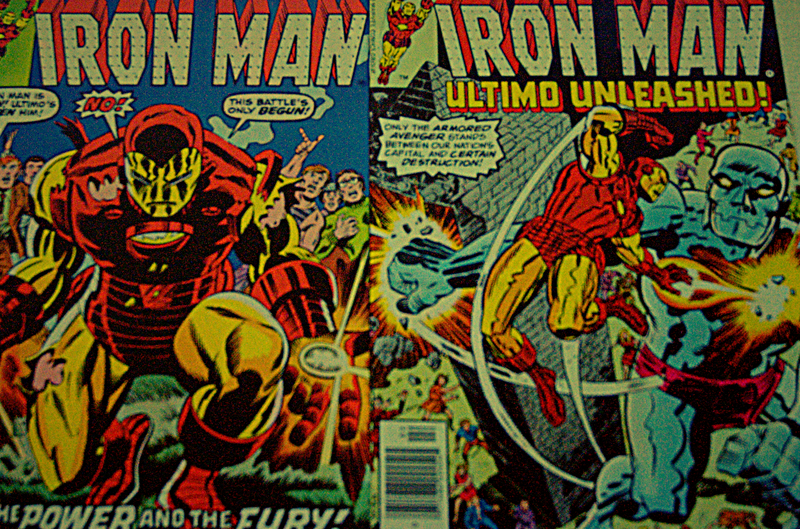 The Iron-Man, Ultimo series, a two-part comic featuring a new MK armor for Tony Stark along with one of his most feared villains, Ultimo. These two comics are originals from 1968 and are still two of my most prized comics. 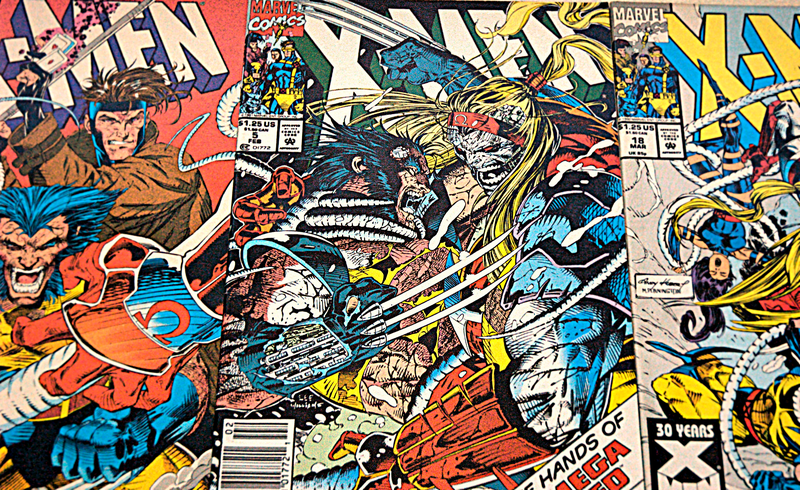 Finally, we have three of my favorite Uncanny X-Men covers from the mid 90s featuring one of my all-time favorite villains, Omega Red. Nothing fancy or special about these expect for the outstanding cover art.